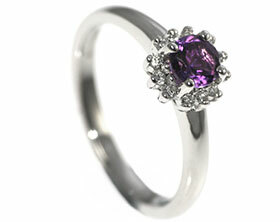 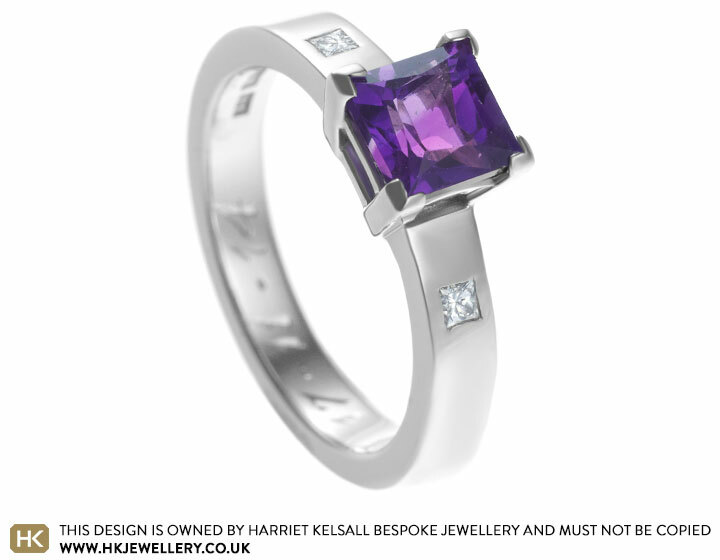 Gurpal wanted to design an engagement ring as a surprise for Preet. 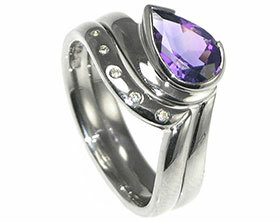 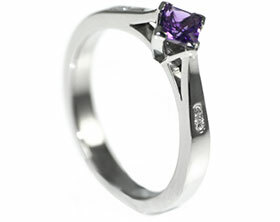 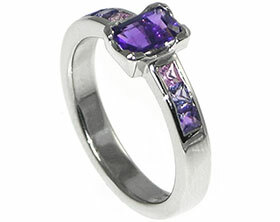 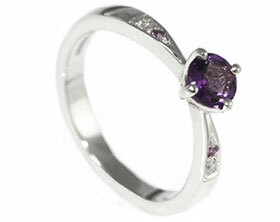 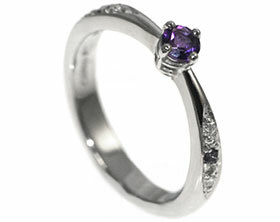 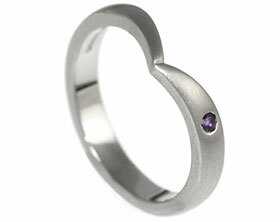 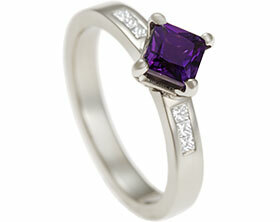 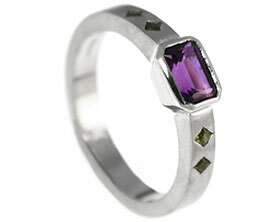 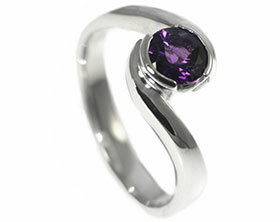 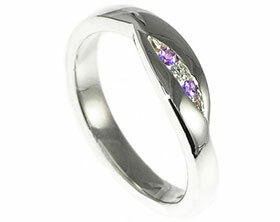 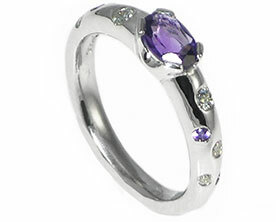 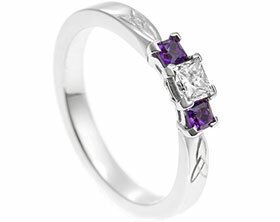 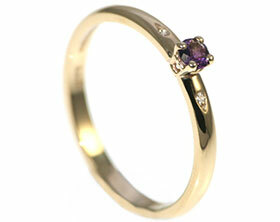 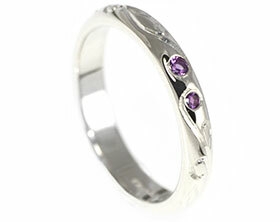 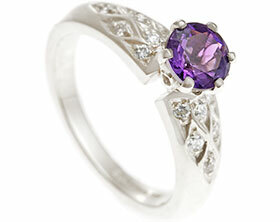 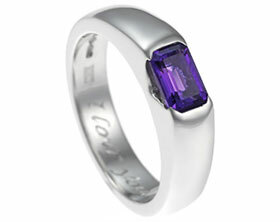 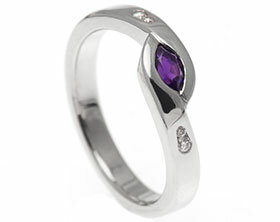 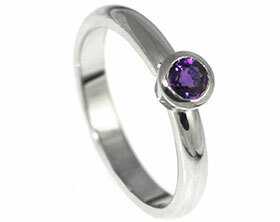 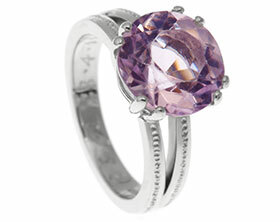 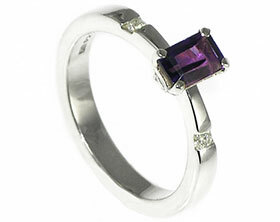 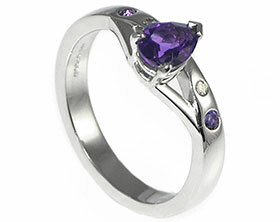 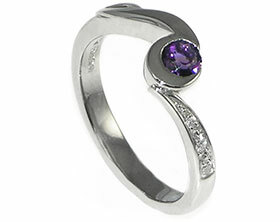 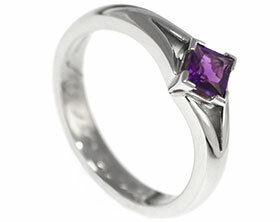 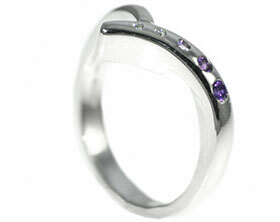 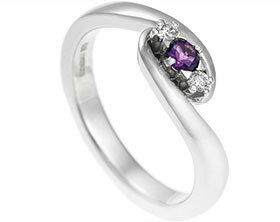 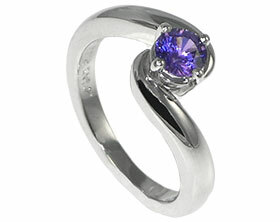 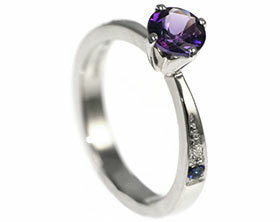 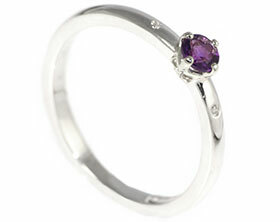 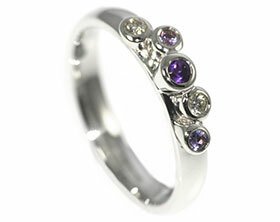 Gurpal decided on a beautiful unique handmade palladium engagement ring with a princess cut 5mm amethyst (0.70cts) with two 1.5mm princess cut diamonds set into the 3mm wide band and a highly polished finish. 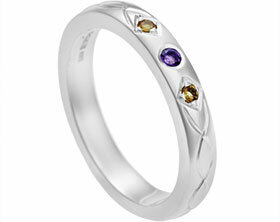 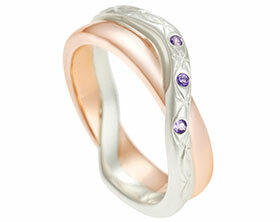 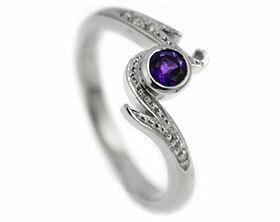 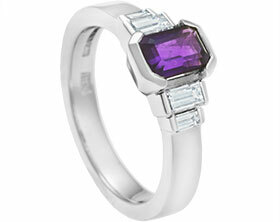 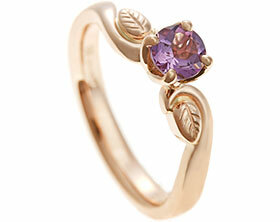 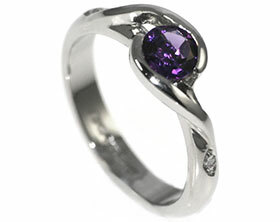 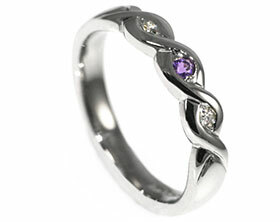 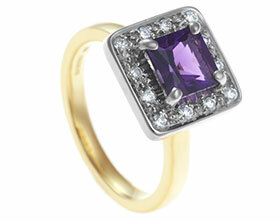 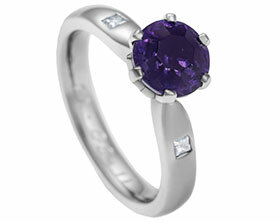 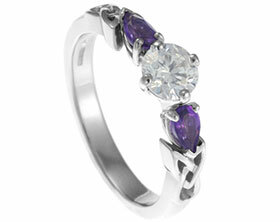 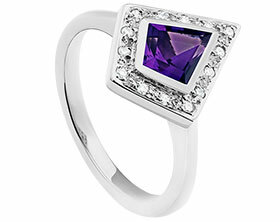 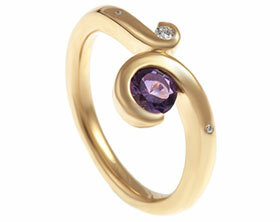 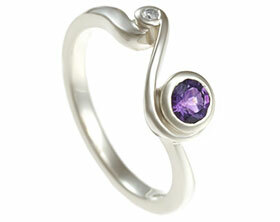 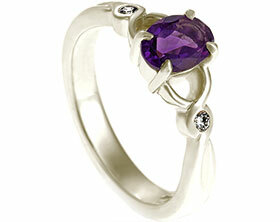 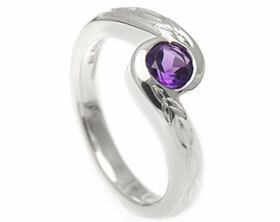 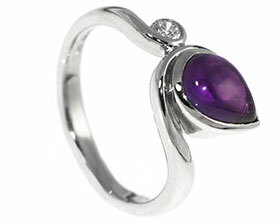 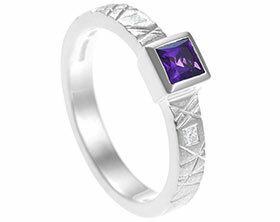 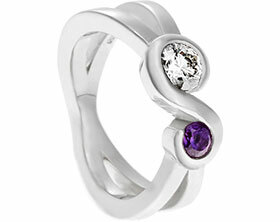 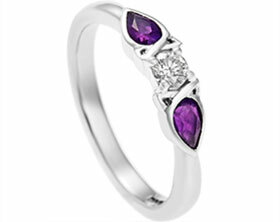 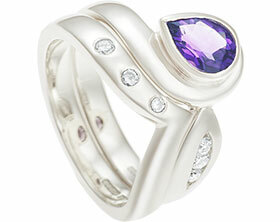 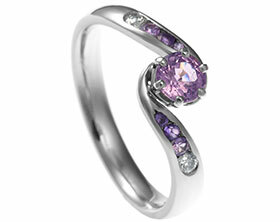 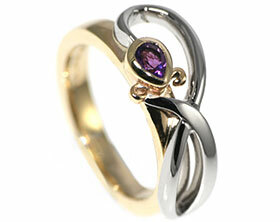 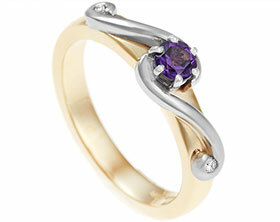 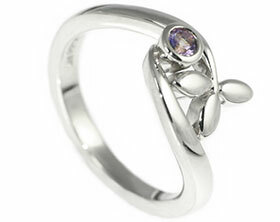 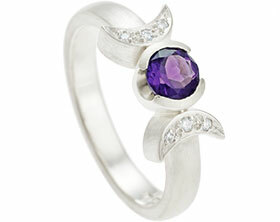 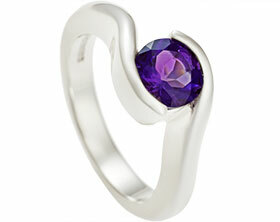 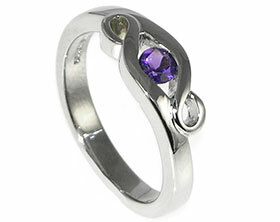 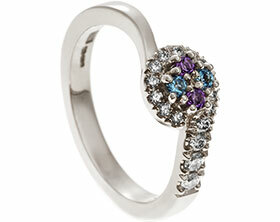 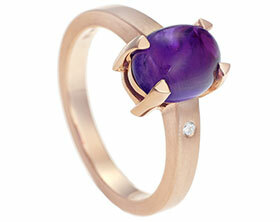 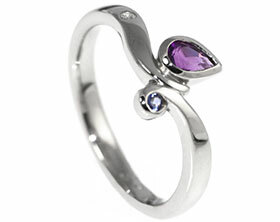 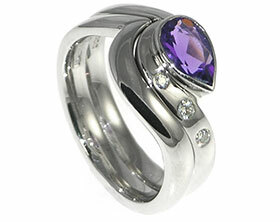 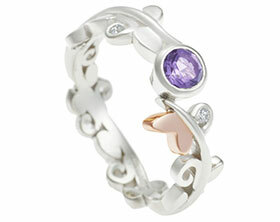 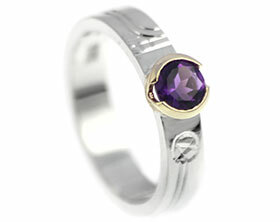 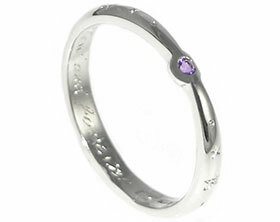 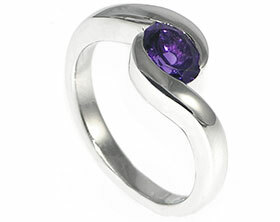 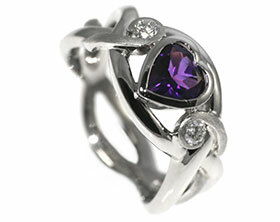 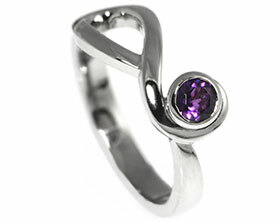 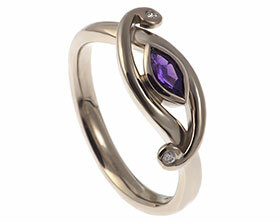 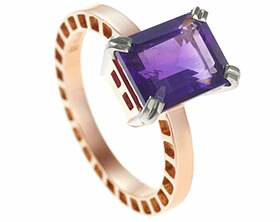 The ring has lots of crisp sharp lines to reference Preet's love of art deco designs.